Rebellion has always been in the O'Reilly family's blood. So when faced with the tragic death of her brother during Northern Ireland's infamous Troubles, a teenage Nora joined the IRA to fight for her country's freedom. Now, more than a decade later, Nora is haunted by both her past and vivid dreams of a man she has never met. When she is given a relic belonging to Brigid of Kildare, patron saint of Ireland, the mystical artifact transports her back eighty years-to the height of Ireland's brutal civil war. There she meets the alluring stranger from her dreams, who has his own secrets-and agenda. Taken out of her own time, Nora has the chance to alter the fortunes of Ireland and maybe even save the ones she loves. 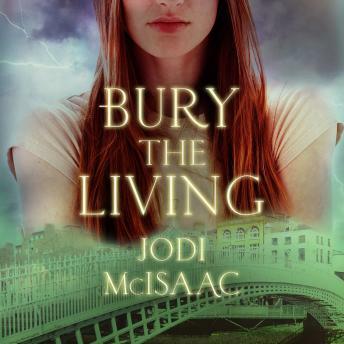 In this captivating and adventurous novel from Jodi McIsaac, history belongs to those with the courage to change it.